Texas de Brazil. Photo from Facebook. It was only a matter of time before Texas de Brazil arrived in Wisconsin. 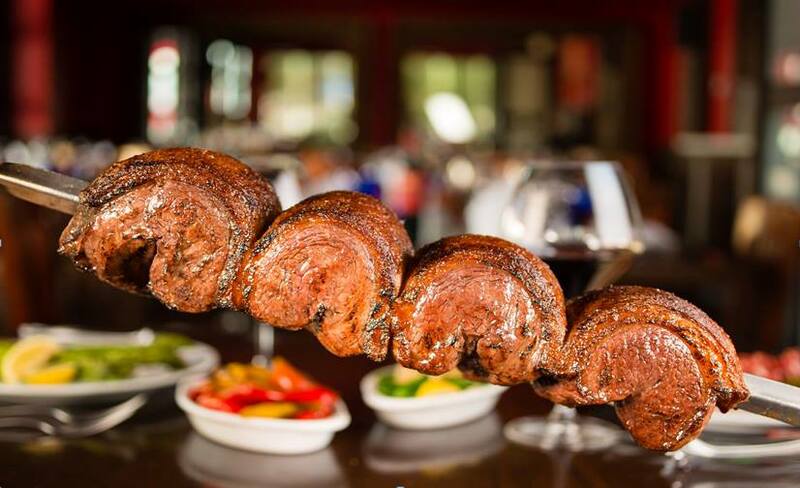 The chain restaurant that touts itself as a steakhouse “that combines the cuisines of Southern Brazil with the generous spirit of Texas,” has restaurants in 17 states and Puerto Rico as well as such countries as Aruba, Mexico, South Korea, Trinidad And Tobago and United Arab Emirates. Now it is coming to Wauwatosa or “Wow Wow Toaster,” as a young Bob Dylan once dubbed it. Melanie Lawder of the Milwaukee Buisness Journal reports that Texas de Brazil has filed documents with the city of Wauwatosa to open their restaurant at 2500 N. Mayfair Road, in the space formally occupied by McCormick & Schmick’s. According to the company’s website www.texasdebrazil.com, the restaurant’s specialties include a 50-60 item seasonal salad area that includes appetizers, gourmet vegetables, soups and salads. Diners can also pick from various cuts of seasoned beef, lamb, pork, chicken, and Brazilian sausage. According to Lawder, Texas de Brazil’s application will be reviewed by the Wauwatosa plan commission on April 10 and open sometime in September or October if approved. A new pizza restaurant will be opening in the Highway 100 strip mall at 5620 S. 108th St. in Hales Corners. According to Matt Mueller of OnMilwaukee.com the restaurant is owned by Gary Plassmeyer and Andre Baer, who were co-owners of Jake’s Deli on North Ave.
9th Slice Pizza Co. plans to open in July or August. Visit their website www.9thslicepizza.com for more details as they become available. Crafty Cow. Photo from Facebook. We told you it was coming, and now it’s here. 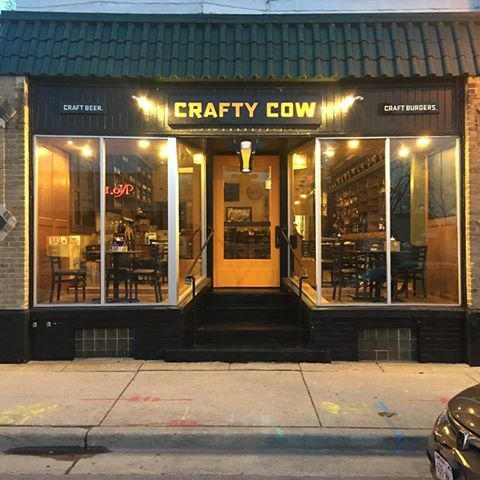 Crafty Cow, known for its unique craft burgers and beer selection, has opened in Bay View at 2671 S. Kinnickinnic Ave.
Lori Fredrich has details on some of the specialty burgers, with names such as the Surgeons in Meat, Farley, Bone Marrow Butter Burger and The Southsider. Crafty Cow is open seven days a week from 11 a.m. to close. Visit https://www.facebook.com/CraftyCowMKE/ for full menu. The restaurant is open from 11 a.m. to 9 p.m. Sundays through Thursdays and 11 a.m. to 10 p.m. on Fridays and Saturdays. Delivery is available Monday through Friday 11 a.m. to 2 p.m. with a $25 minimum order. For more information about Potbelly and menu selection visit www.potbelly.com. Chef Michael Feker, who owns Il Mito in Wauwatosa and Zesti in Hartland, is planning on turning the former Ramona Apartments building at 3064-3074 N. 27 St. into a community-supported restaurant, grocery and indoor urban agriculture facility, according to Melanie Lawder of the Milwaukee Business Journal. The project is being done through Feker’s nonprofit, Culinary and Hospitality Education Foundation (C.H.E.F. ), which aims to provide training and skills to low-income individuals interested in working in the culinary and hospitality industry. Along with providing the neighborhood with healthy and affordable food options, the new restaurant, grocery and indoor urban agriculture facility aims to foster a sense of community holism, provide employment and build stronger families. Thomas Hauck, chef and owner of c.1880 and Karl Ratzsch restaurant, announced in a press release that Ratzsch’s has closed. We put everything we had into this dream and it is with a heavy heart I have to let this go. I am incredibly grateful for everyone that helped to try to make this dream come true. Thank you to all of the patrons who have supported and dined at Karl Ratzsch during my ownership. I still firmly believe in Milwaukee, and will continue to focus all of that energy through c.1880. “We had deeply wished that we would be able to give people time to say goodbye to this restaurant that means so much to so many people over the years. We were proud to be a part of this history, if only but for a brief time. Lori Fredrich of OnMilwaukee.com reports that Wine Maniacs on the River has closed. The wine bar and restaurant was located at 106 W. Seeboth St. and opened in the summer of 2013. Wine Maniacs in Oconomowoc will remain open.